*OUT OF SUBDIVISION* HOME BASED BUSINESS? LOVE privacy and nature? Desire horses or a hobby farm and quiet country living? 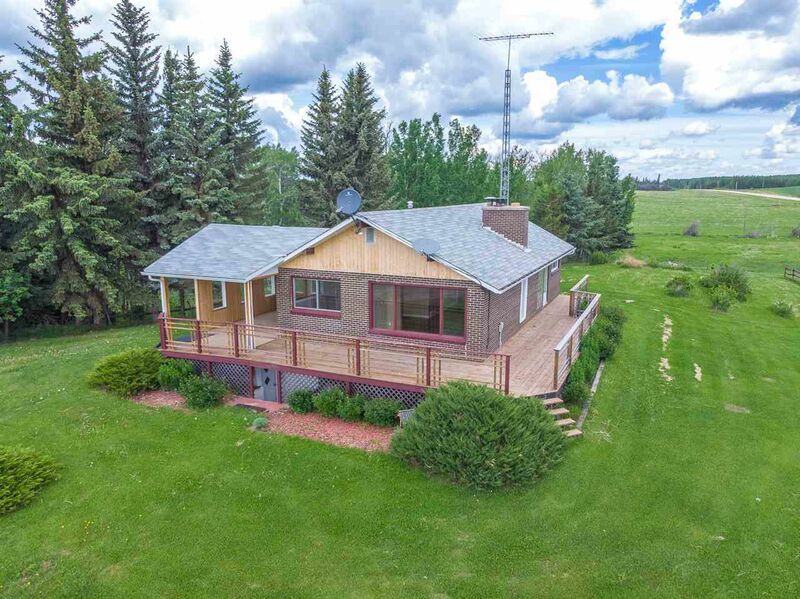 This wonderfully renovated peaceful acreage is fully fenced and located with easy access to the Yellowhead. New paint, new High Efficient Furnace, new Hot water tank, renovated bathrooms, flooring, newer shingles, newer well, new septic tank & a new septic field being installed. Turn key ready to move right in and enjoy country living! Four bedrooms in total, & possibility of 2 more in the lower level WALKOUT basement! 2 FULL brand new bathrooms, large laundry room and storage galore. The covered deck is perfect for entertaining and breathing in the beauty and sounds of nature. The gorgeous landscaping boasts roses, peonies, and majestic trees surrounding. The corral has waterers , a hay shed and many out buildings for storage and covered parking. Minutes to the Pembina River, Entwistle, Trestle Creek Golf Resort, Lakes, shopping and schools. This is what living the dream looks like! Yellowhead west from Edmonton to HWY 757 (RR 65). North on RR 65 4 kms to TWP 540, property on left.